Saturday’s match will be no ordinary match. 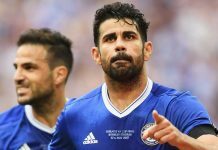 After Rafa Benitez’s sensational interview after Wednesday’s win over Middlesbrough, Chelsea return home to the friendly confines of Stamford Bridge, and Benitez must be expecting the worst from the home support. In his interview with the BBC, he criticised the board, the support, and pretty much everyone but himself for the predicament that Chelsea is in right now, being that they are in danger of falling from the top four. He should rightfully be wary. It’s this fixture against West Bromwich Albion that has seen the sacking of both Andre Villas-Boas and Roberto Di Matteo. He shouldn’t expect any favors from Chelsea’s former assistant manager Steve Clarke. Clarke has finally righted to the ship of a squad that has just won twice since Boxing Day, and both victories have come recently in their last two matches against Liverpool and Sunderland. He’ll be aware of the pressure that Benitez is under and should rightly look to get a result at the Bridge. West Brom have found a bit of form, which has balanced out their league position. Every season this happens. A team comes out of the blocks firing and punches above their weight, only for things to come back down to earth later in the season when the inevitable bad patch happens. It’s not anything that the manager does tactically. It’s just the inevitable cycle of the Premier League. That’s happened to West Brom, having gone through a patch where they’ve picked up just three wins and two draws since Boxing Day. I think it was inevitable that patch would come, and it’s been a credit to Clarke for starting to get them out of it. They’ve picked up a big win against Liverpool and defeated a struggling Sunderland side to pick up a bit of confidence, and it will be interesting to see if they can carry that forward into what is almost certainly to be a cauldron on Saturday. We can be thankful that Romelu Lukaku can’t play. Lukaku has emerged as West Brom’s leading scorer this season with 12 goals in all competitions and picked up a brace last week against Sunderland. Because of his loan agreement, he will be unavailable to play against his parent club. That’s a good thing because his performances as of late have been very Didier Drogba-esque in the way he’s been able to use his size and pace to bully defenders around. While playing in an effective manner, there are still things about his game that I think he needs to work on, specifically his link play and reading of the match, that he’s starting to improve upon at West Brom while on loan. His replacement should be Shane Long, who’s early season form helped pace them to their fast start. However, his goal tally has tailed off lately and is on a run of only 2 goals since November 24. He is the club’s second leading scorer with 9 goals this season, however, his drought is a cause for concern for West Brom, especially in matches like this one where Lukaku is unavailable. West Brom must fix their secondary scoring issue. One of the things that paced West Brom early on in the season was the goal scoring of their strikers, Lukaku, Long, and Peter Odemwingie. However, one of the other things that helped was the secondary goals from Zoltan Gera and James Morrison. While I mentioned Lukaku’s goal scoring form, Odemwingie’s transfer saga in January has caused a loss of form and a distraction, and the goals from Morrison have all but dried up. Morrison has not scored since November 11 after tallying three times prior to that. In addition, their second creative outlet in Zoltan Gera is injured with a cruciate ligament tear and has been unavailable for the last month. Without those two, West Brom have found it hard of late to create enough chances to score in order to beat teams. In his absence, West Brom has had to rely on Graham Dorrans and Chris Brunt who have lacked consistency. West Brom’s second problem is their defence. Early in the season, the West Brom defence played very well, but as of late, their form has tailed off. It’s something that they were able to successfully mask early in the season but has returned lately due to injuries to Claudio Yacob. The challenge to Gareth McAuley and Jonas Olsson was always when they were forced to chase the ball, moving either laterally or having to turn and run. With a fit Yacob shielding the defence and breaking up play, Olson and McAuley’s weaknesses were largely hidden, especially amongst the goals. However, Yacob’s month out due to injury has exposed them just a bit, and the trio of Juan Mata, Eden Hazard, and Oscar are not necessarily the three you want to see running at you. Yacob has returned to fitness and should provide them with their shield again, and he was very effective in breaking up play against Chelsea in their first meeting. In fact, in the 2-1 win early in the season, you could argue that Yacob’s play was one of the main reasons that they picked up a big win at the Hawthorns. If I were Steve Clarke, I would prepare my team to have a go at Chelsea with the intent on turning the crowd. If anyone knows the effect of the Stamford Bridge crowd, it’s Steve Clarke. After sitting in the dugout with Jose Mourinho and having played for the club, he should be aware of the pressure that Benitez is under and how the crowd could turn on him. With that being said, I fully expect West Brom to press hard, smartly, and look to open the scoring. If they’re able to do that, the pressure will be turned up and cracks in the Blues may begin to appear. Clarke’s a smart manger, but I think despite their bad patch, he will come in looking to get a result and perhaps another big win. West Brom are certainly capable of it. In the first meeting, Long and Odemwingie conspired to give them a win with two big goals. If they can repeat the trick of getting the first goal, I expect the hostile reception from the Chelsea support to get even more hostile towards Benitez. If that happens, there’s every chance that West Brom could be the bane of the last three Chelsea managers.